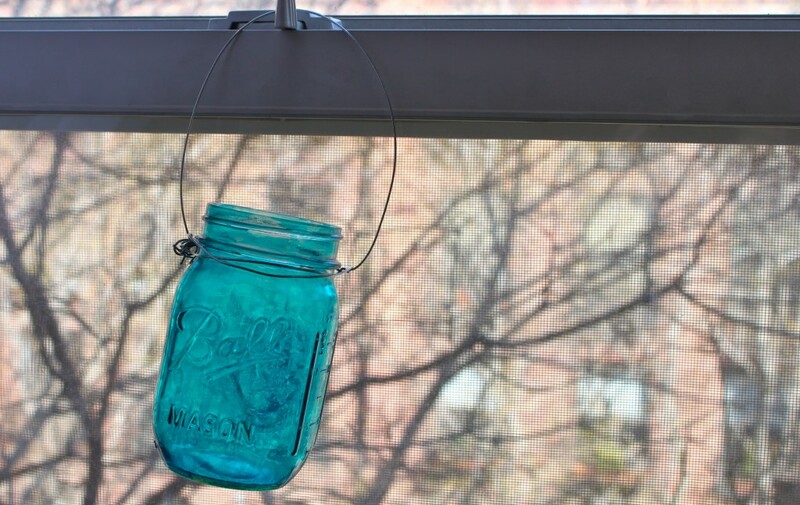 Mason jar hangers are versatile décor items to rejuvenate your living space in style. 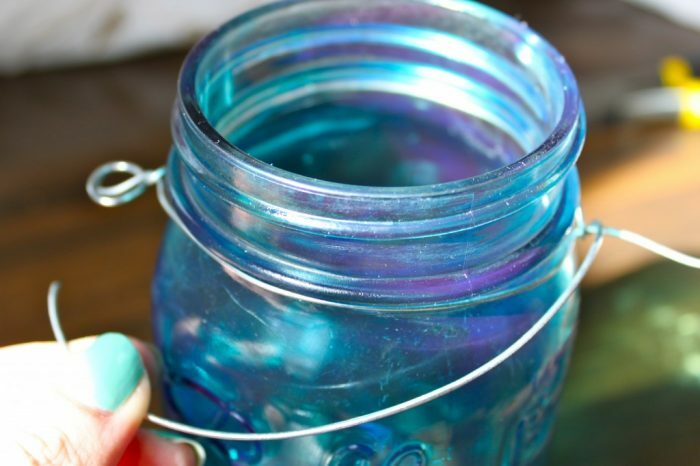 While there are options aplenty to transform them into useful stuff like chandeliers, votive candle holders, lanterns, hanging candle lights, etc., the great experience of recycling the old, worn out jars is unique and priceless. Pull out about 8-10” of the wire. 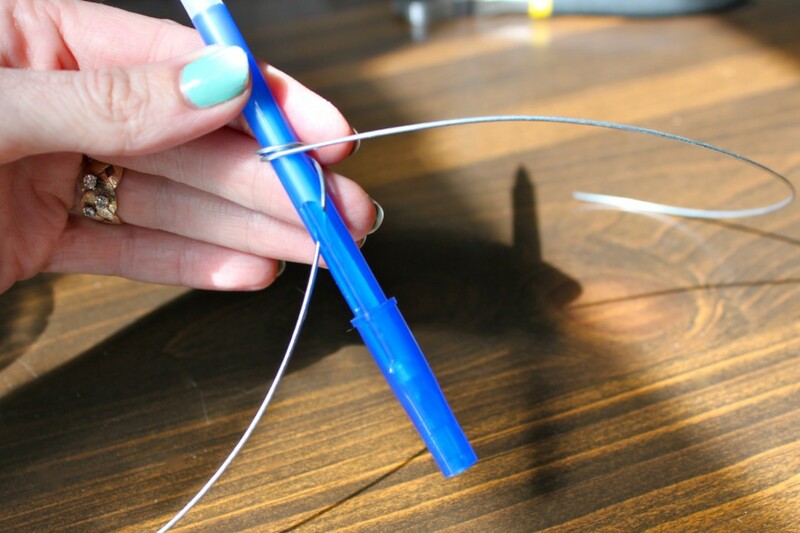 Leave a small part hanging and loop the remaining part a few times around the pencil. Remove the pencil and twist the wire to keep the loops in place. Wind the free ends around the neck of the jar before making them meet at the other side. 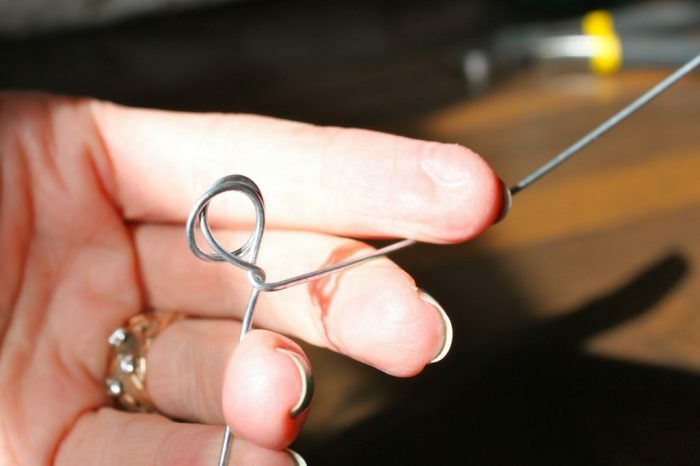 Twist the ends together to secure. 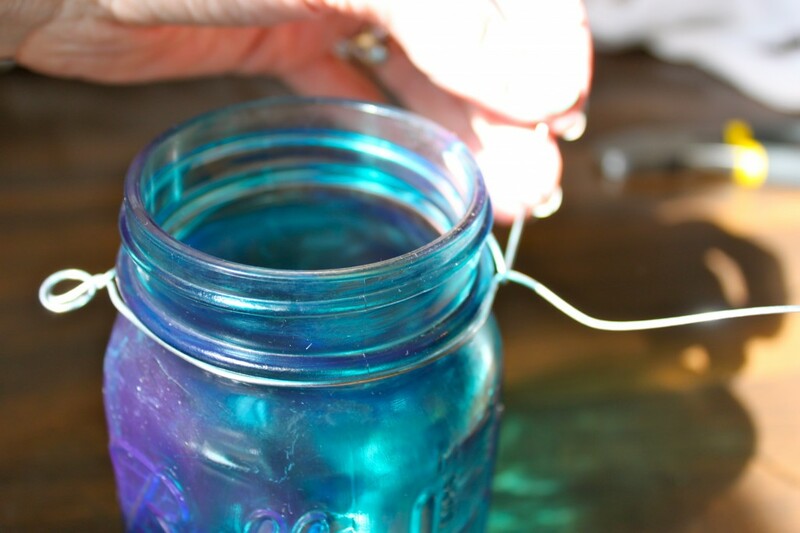 The small tag end can now be neatly cut and tucked in. 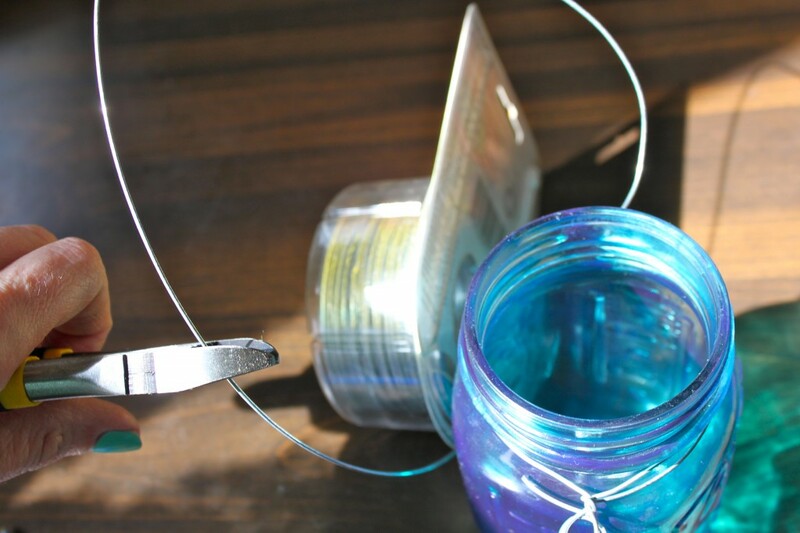 However, if you have enough length of wire, you can double the turn around the neck to make the hanger strong. 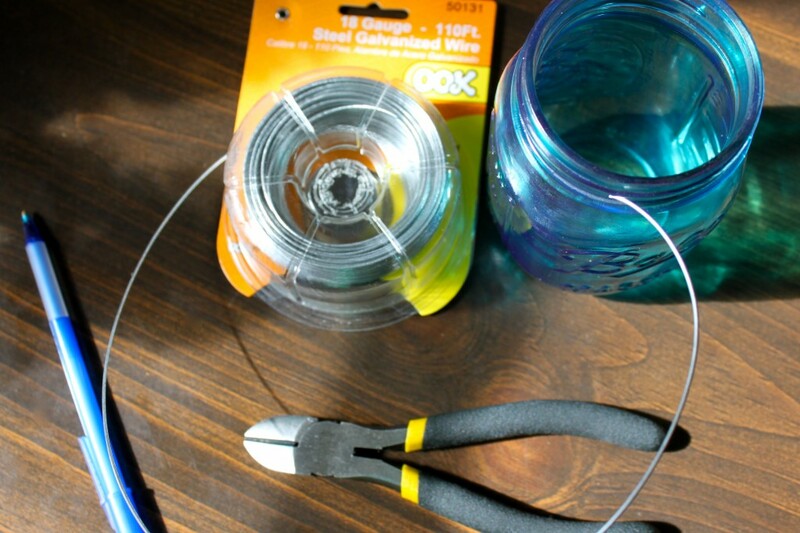 Now take out around 6” of the longer end of the wire that is still attached to the roll. Turn this in a U-shape to make the handle. 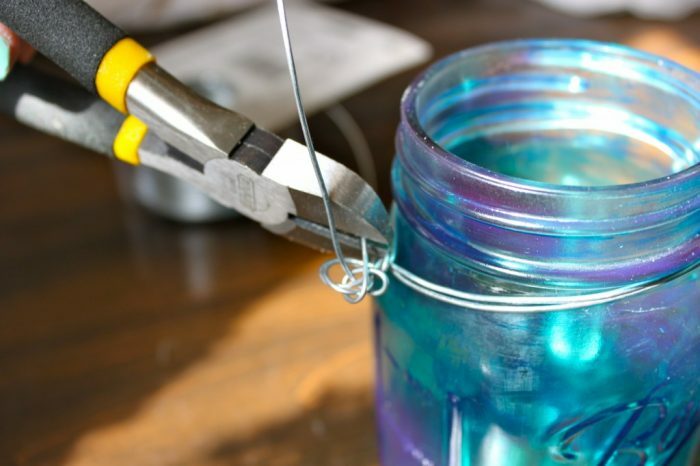 You can take the help of the pliers. Pass the end through the set of loops formed in step 1. 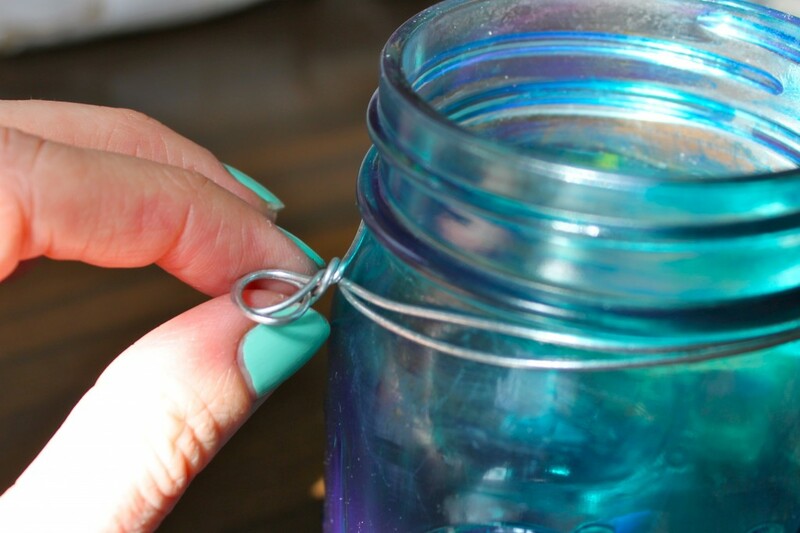 Twist to secure and cut off any excess. And you are done. Hang it on the wall or the window, sit back and admire! 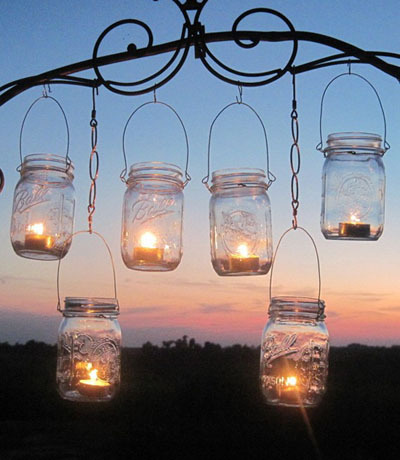 If you want, you can hang the mason jar outdoors with a ribbon and dress it up beautifully with flowers and tea light candles for a DIY wedding. 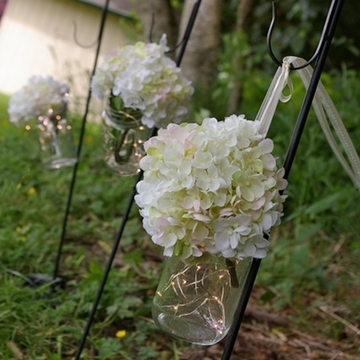 You can also use it for chair flowers or as a hanging flower vase as well. 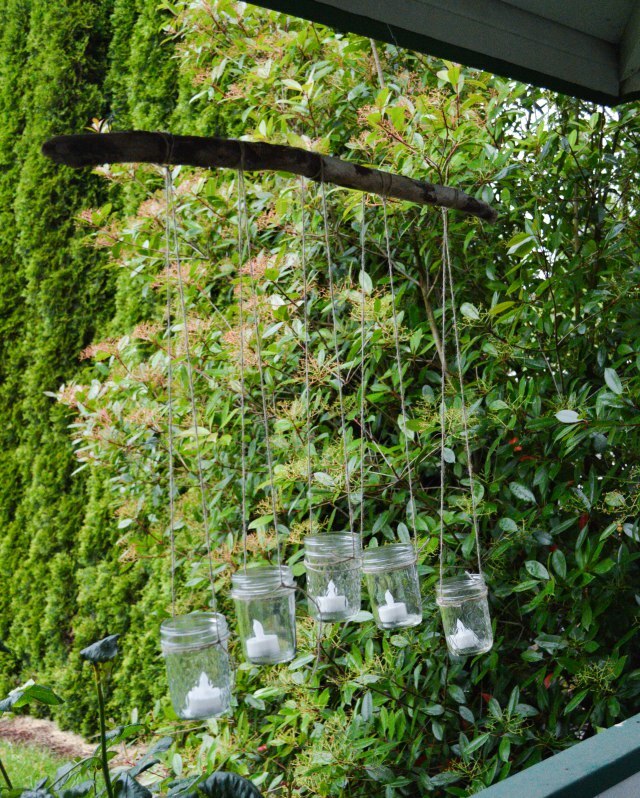 Sample a unique way of making a hanging candelabra using driftwood. 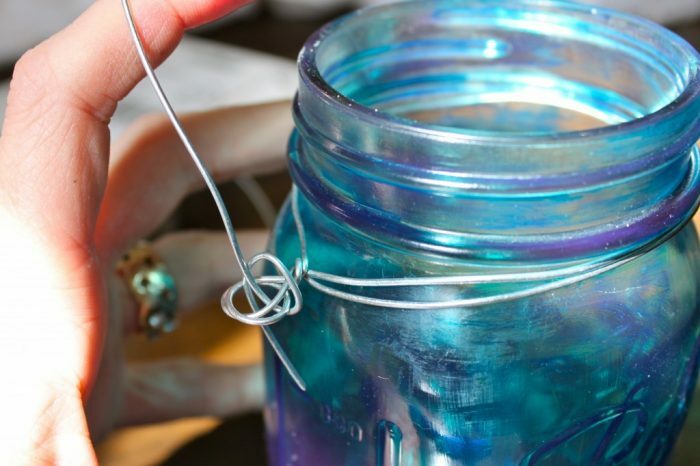 Tap the rustic-chic power of the mason jars by making them hang by chains. 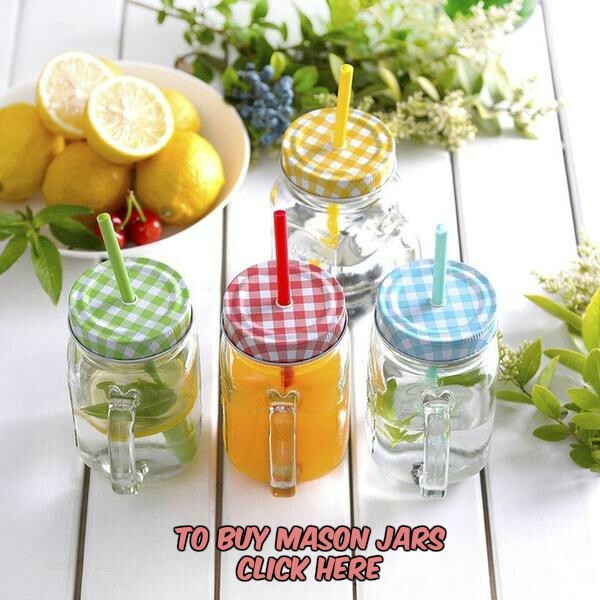 Note that the handle has been built into the lid. You may use twine to make a beautiful hanging garden. 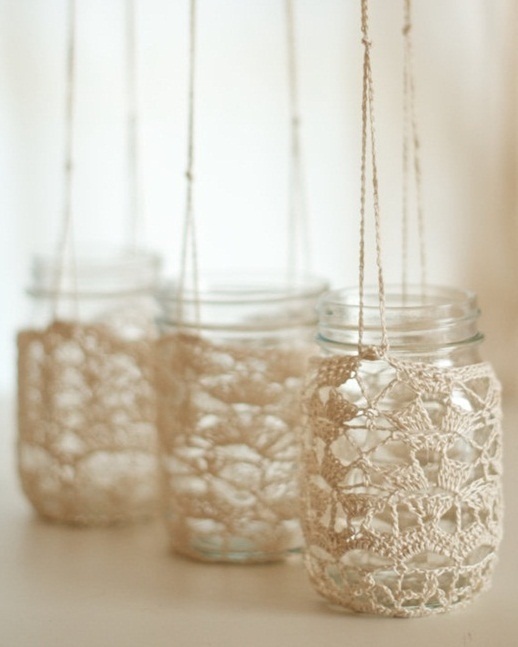 Crochet enthusiasts are going to love these. Here is a video to teach you the pattern. 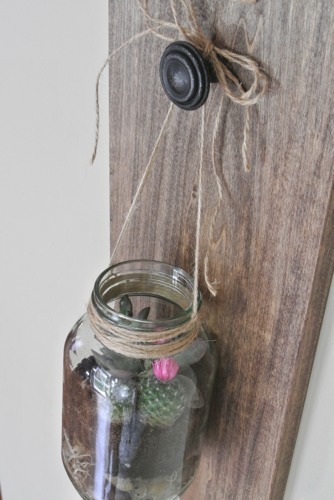 Another idea would be to make the hangers out of macramé that can host your favorite plants. 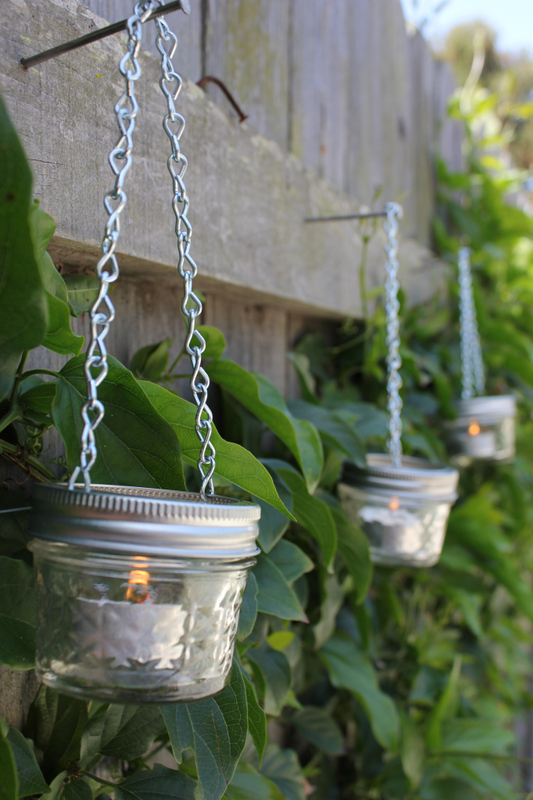 Use different designs of hooks to hang the designer jars from trees, ceiling and fence. Who knew that the humble mason jars used in the most ordinary way for storage could be such a sport in amping up the aesthetics of your home?